Os presentamos una serie de videos que presentan la utilización del GNSS (Global Navigation Satellite System) en aviación y que muestra sus beneficios para los pilotos de aviación general tanto en operaciones VFR como IFR. Esto incluye especialmente el conocimiento de las limitaciones de los distintos sistemas GNSS disponibles, de forma que la confianza en la tecnología moderna no suponga un compromiso para la seguridad en vuelo. Esta serie de videos ha sido producida como parte del proyecto CaBilAvi soportado por el octavo Programa marco de investigación e innovación (Horizon 2020), en el cual L’Aeroclub ha formado parte activa junto con otras entidades e instituciones europeas. A continuación encontraréis los seis episodios (en inglés) junto con su descripción. The episode “Satellite navigation and EGNOS” presents the general description of GNSS and EGNOS systems. It focuses on the utilisation of these systems in transportation, mainly in aviation, and compares them to conventional radionavigation aids. 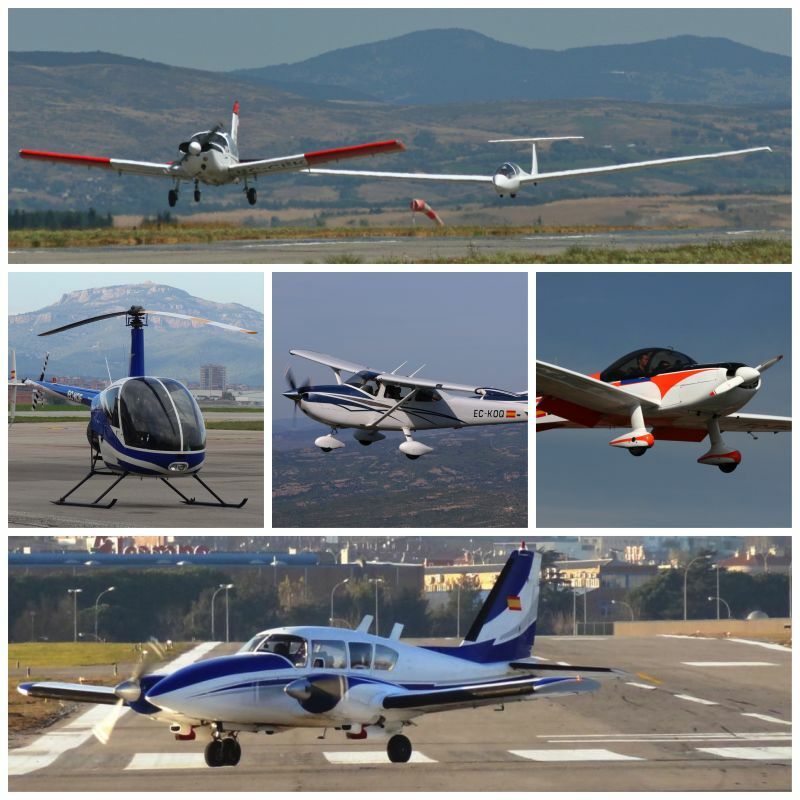 The benefits for the users – pilots are explained. “Receivers and software“ part introduces GNSS receivers and SW products for VFR flights. Mastered control, updated databases and awareness of technological limitations of the devices are the prerequisites for safe use of GNSS in the aircraft. “Ground preparation“ part points out the necessity of a proper pre-flight preparation for GNSS-supported VFR flights. This not being a commonplace for all pilots it has to include also the equipment check and setting. This part summarizes all basic rules of a proper pre-flight preparation thanks to which the safety and comfort of the flight will be improved. “Settings” part focuses on the importance of proper individual setting of GNSS device depending on the flight type. Proper setting of units, scales, zoom, as well as map alignment and other factors can prevent unpleasant surprises and even loss of positional orientation during flight. “Planning a VFR flight” deals with an adequate and meticulous VFR flight planning that cannot be done without a paper chart even when GNSS device is planned to be used as a support during a flight. By adding a navigation log the key three pillars of modern VFR navigation will be complete and readily available. To cope with emergency situations with unnecessary stress and mistakes, we need to be able to control the aircraft and the avionics. When dealing with emergency situations three aviation commandments have to be adhered to: fly the aircraft, navigate, and communicate. The sixth part of the series called Emergency situations will show you how to use GNSS device during emergency situations.